Over the years, we’ve all seen the aftermath of horrific crimes on the TV news. The police tape preventing access and the white tents keeping the location free from prying eyes are familiar sights, but what happens when the sites are cleared? 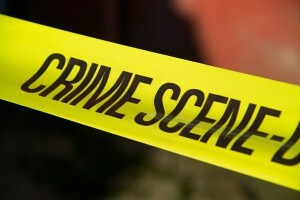 These days, crime scene cleaning is big business, and it can turn out to be a highly lucrative industry to get into. Needless to say, such matters can’t be dealt with by just anyone. If you wanted to work in this highly specialised field, you will need to undergo some intensive training and to acquire plenty of knowledge in the process. The days when anyone armed with a bucket of water and a broom came along are thankfully long gone, so be ready to work hard to get involved. Of course, there are many incidents which can require the use of specialist cleaning methods afterwards. They include murders, suicides and road crashes, so as well as being knowledgeable the cleaners also need to be very versatile. In addition to making the place clean and usable once again, they’ll also know how to prevent the spread of contamination. Every crime or trauma scene represents a potential danger to public health. There could be hazardous bodily fluids in the area, for example, which could contain viruses like HIV and hepatitis B and C. Containing and removing such items needs a great deal of dedication as well as lots of training. It maybe goes without saying that a strong stomach is also required. There will be some people who may think they would be able to work as a crime scene cleaner and enjoy the varying nature of the job and the challenges it can bring, but if they aren’t able to cope with the less edifying aspects they may be better off looking elsewhere for a position. If you don’t think you’ll have the stomach for it, the chances are you don’t! While the need to prevent infection is all too obvious, many people fail to realise just how much discretion is needed at such times. These crime and trauma scenes are often poignant reminders of unpleasant incidents that have only just happened, so cleaners will always need to be aware of the sensitivity that can surround their work on some occasions. A sound knowledge of the current legislation relating to hygiene is also an absolute must. This is one area of the law which is constantly changing, so it pays to be aware of current rules and regulations, while also keeping a close eye on any future changes which may be adopted. As always, the best training methods will look to incorporate such information. If you are interested in either working in this rewarding but difficult industry, or perhaps you’re considering a business start-up in this area, you should perhaps be speaking to the experts to find out more. It’s a sector that will not suit just anyone, of course, but if you want to work in it you could make a very tidy living.